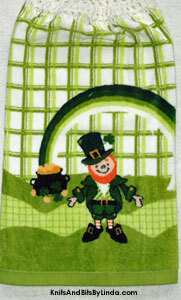 This green and white plaid terry cotton hand towel shows a little Leprechaun celebrating his find of a pot of gold at the end of the rainbow. Sure to put a smile on the face of all who celebrate this holiday. 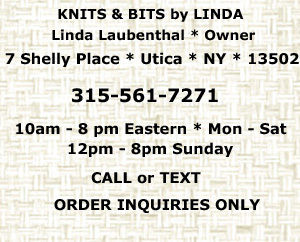 It has a White acrylic hand crocheted yarn top for the hanging handle for the stove, fridge or cabinet knob.